If your gutters have cracks and splits in them, they become useless. The entire purpose is to make sure water gets directed away from your home. Small holes and cracks may not be visible on a regular basis but when it rains they become very noticeable. Not fixing these issues fast enough can make matters worse and damage your home quicker. Once you have seen that there are numerous cracks in your gutter, it is best to replace them for proper protection of your home. One of the places where there are issues with the gutters are the seams. When the seams get separated or damaged, water pours out of the area and onto your home, which reverses the purpose for the gutters. Nowadays homeowners get seamless gutters to avoid these issue. When a homeowner sees some peeling or bubbling of the exterior paint in the home, there could be an issue with the gutters. Damaged paint usually is caused by a leaky gutter and needs replacement as soon as possible. If you see water damage underneath the area around the gutters, you need to replace the gutters. Any sign of water damage means the gutters are not working properly and protecting your home, as it should. When there is severe weather you may see screws, nails or fasteners on the ground, which should be holding the gutters in place. Once the gutters become worn out, replacing the fasteners or screws may not work. New gutters may need to be replaced. If a homeowner finds their basement flooded every time it rains, it may mean that the gutters are not working, as they should. They are not keeping the water away from the home foundation. Gutters should be replaced immediately, since ignoring this issue can lead to major problems with the home foundation and costing a great deal of money. The formation of mildew can arise from standing water accumulating at the foundation of the home. With this situation, the gutters may need cleaning or replacement to prevent further damage. The gutters job is to keep water from ruining the foundation of the home. The signs of damaged gutters are obvious at times. From cracks and holes to a basement getting flooded every time it rains. It is extremely important to observe leaky gutters as soon as you can to avoid any major problems. Also, remember that it is important to regularly clean your gutters to keep them in as good shape as possible. 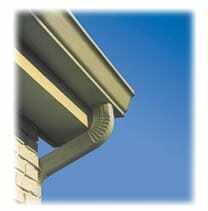 To solve all your gutters replacement needs you need to contact a Somerset County Gutter Replacement Contractor. Markey LLC has always been family owned and operated. For more than 25 years they have served the New Jersey community with pride and integrity. Markey LLC have a proven track record of their reputation with all their satisfied customers. They use the highest quality products; factory trained and qualified employees with courteous staff treating every customer with professionalism and respect. Give Markey LLC a call today at 800-605-4470 and schedule your gutter replacements now!